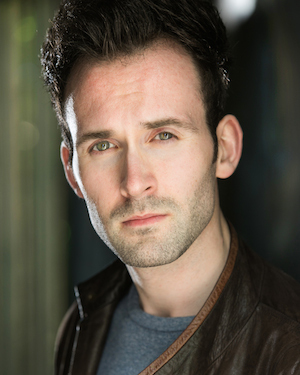 Dan Bottomley is a talented actor-musician who has worked across all disciplines. His theatre work is diverse and includes a season at Pitlochry, which included productions of Single Spies, Lady Windermere's Fan, A Chorus of Disapproval and The Lady Killers. He recently appeared in the new stage adaptation of Daniel Defoe's Moll Flanders at the Mercury Theatre, Colchester before going on to play the roles of Griff and Ched in Eye of the Storm for Theatr na nÓg. He works regularly in radio, having appeared in Dr Who, The Wonderful Wizard of Oz and Vienna amongst others. He has also recorded voice overs for several video games. Christmas shows include Pinocchio at The Curve in Leicester, Peter Rowe's Cinderella at Theatr Clwyd as well as leading roles of Mordred in Cinderella and Abanazer in Aladdin both at City Varieties Music Hall in Leeds. Dan also appears in feature film Peterloo, directed by Mike Leigh. The film premiered at the 2018 Venice Film Festival ahead of a UK premiere as part of the BFI London Film Festival.